Over 1/2 Acre Lot, 4 Bedrooms, 2.5 Bathrooms, Sun Room and Loft in an Open Floor Plan. 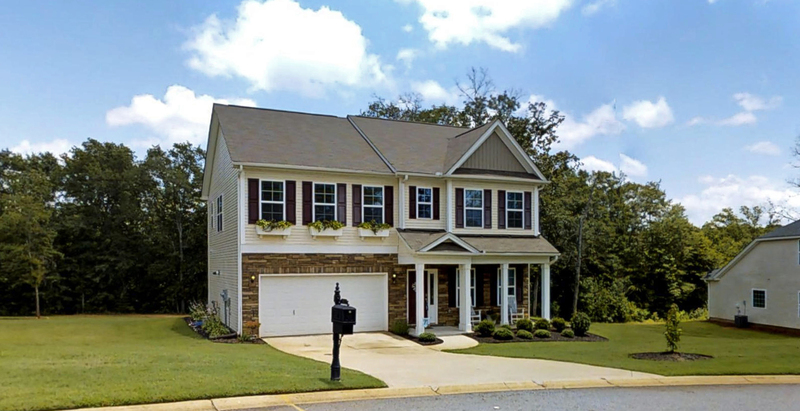 HUGE Master Suite, Granite Counters, High Ceilings and a Great Back Deck Overlooking Trees... This home is like new and spacious with a lot that provides space between your neighbors!